Chavanga Fish Blog: Pacific salmon and rainbow trout tour. Kamchatka peninsula. 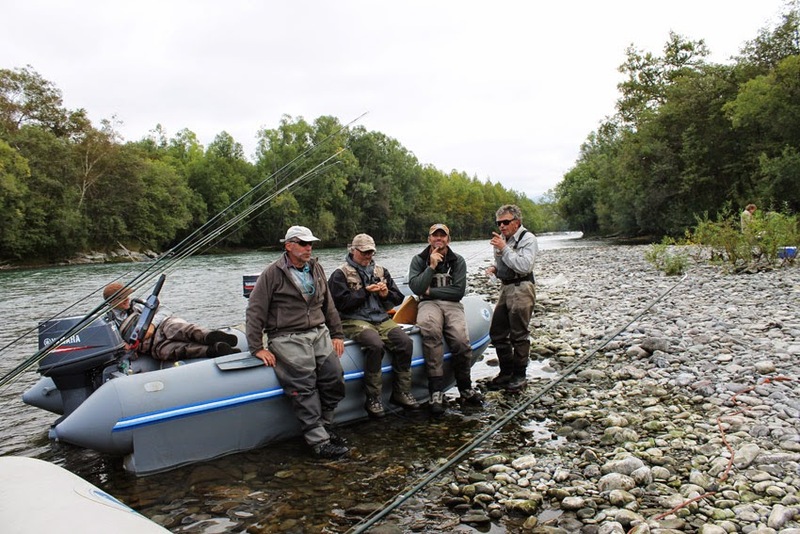 Pacific salmon and rainbow trout tour. Kamchatka peninsula. Our firm has its own territory for fishing . Territory in this region is very wild , but in spite of that, we found the option to abolish the helicopter delivery. This , in turn, greatly reduced the price of the transport component of the price of the tour , and we have removed the dependence of delivery of the weather. For Kamchatka is very important , it is a guarantee of return to their flights . We do not have the loss of fishing days while waiting for weather by helicopter . The standard tour includes 6 days of fishing , plus 1 day of arrival , 1 day out from the river , and one day out on the flight home from the airport . Total tour takes 9 days. The number of fishing days may be extended at the request of the angler. Tour program we have built in a way that would be most beneficial to fish and relax too as comfortable as possible . It is based on a stationary camp , built in 2013 on the banks of the river. Living on a fishing base located on the banks of the river in the guest houses . Each house is for 4 anglers . Cabins are equipped with heating stove , beds with linen (mattresses , pillows, comforters, blankets ) , shelves , hangers , sockets, electric lighting. Also, on the basis of fitted clothes dryer, kitchen, bath, outdoor patio dining , cabins - company . Maximum capacity of the camp - up to 16 anglers. The minimum number of anglers in the group - 3 people. The optimal number of participants in the group - 8 persons. The season begins June 25 and lasts until October 20. June- July: chinook , sockeye . August- September: sockeye, chum, coho, brown trout . and as always - sea trout , rainbow trout. -Fishing for rainbow trout . • 1 - Day - meeting at the airport (arrival from Moscow in 10-00 or 11-00 am). Transfer by minibus to Milkovo ( 300km ~ 3-3.5 hours). Accommodation at the hotel . Dinner. half an hour by speed boat to the base. 11.00 accommodation in the camp. Fishing . • 3 -7th day. Fishing. • 8th day. Returning to the Petropavlovsk - Kamchatsky. • 9th day. Transfer to the airport and flight home . Changes can be made on the tour depending on fishing and river conditions. Additional day of fishing can be given at guests desire. Price is 2,350 to 2,850 euros per person. • The invitation and the voucher for visa reception. • Registration, delivery from the airport to the base and back. • Accommodation at the camp. • 3 meals a day during all tour, services of the cook. • Transport for the movements (off-road cars, motor boats, a minibus). • Cost of fishing licences. • The first medical aid. • Cost of tickets to the meeting point (airplane tickets). Your destination is Yelizovo Airport, Petropavlovsk-Kamchatsky.